Frankly speaking, threaded conversation view gives compact view of my inbox otherwise disabling this feature, will make my inbox cluttered. As I told you earlier everyone not feel the same way, they want to see their inbox in a more old-fashioned view of their emails. 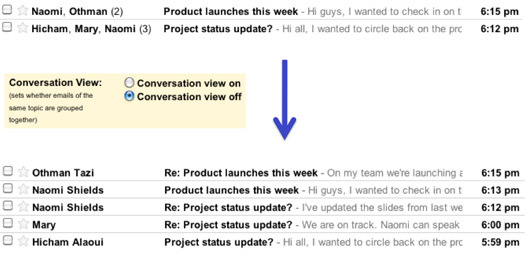 So, in this article, I am showing you how to disable the conversation view feature in your Gmail. This feature will be rolling out over the next few days so if you don’t see it immediately, check after one or two days. 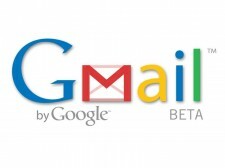 So, let’s see how to trun off the most used feature of Gmail. First, click on the “Settings” link on the top right hand corner of the Gmail inbox or directly head towards “Settings” page by clicking here. Now, find out “Conversation View” section and select the option to turn it off and click on “Save changes” at the bottom of the page. You can see the changes in your inbox instantly by putting this feature off. Somehow, if you don’t like the look of your inbox after keeping the conversation view off. You can always go back by doing it vice-versa and save the changes.